Rapala has learned that, under certain circumstances, it is possible for the trigger switch on StrikeMaster® Lithium Lazer™ (LL-8) ice augers to fail. In such circumstances, the trigger switch cannot be used to stop the rotation of the drill. 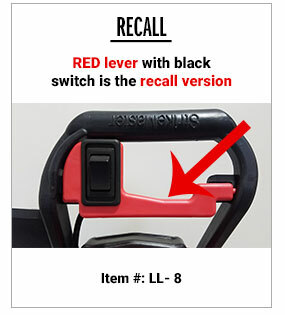 To ensure the safety of our customers, and to maintain Rapala’s high standards of quality, Rapala is voluntarily recalling all StrikeMasterr® Lithium Lazer™ (LL-8) ice augers. Customers should stop using their Lithium Lazer™ ice augers immediately. 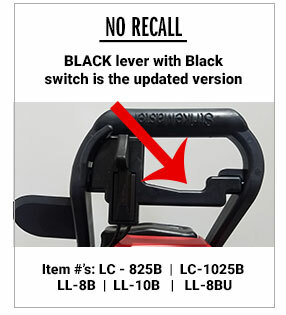 Please note, this recall does not pertain to the LL-8B Lithium Lazer™ ice augers. Effective January 1, 2019 Customers should contact StrikeMaster Customer Service toll free at 877-572-7278 or strikemaster@rapalausa.com for a possible part replacement update at no charge for their Lithium Lazer (LL-8) auger. If you purchased your auger after November 3rd 2015, you have the newest updated version. We take great pride in the quality and performance of our products, and apologize for any inconvenience this causes you.